They had me at sacrilege! 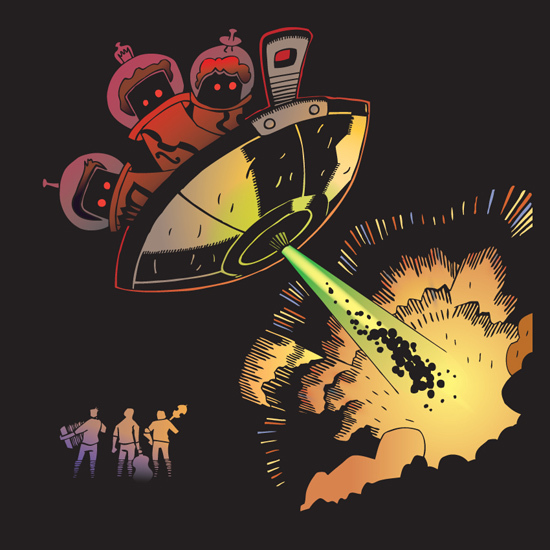 The three images here are (in descending order) the Front Cover, Inside Panel, and Back cover depicting a classic alien invasion with the band members running for their lives. 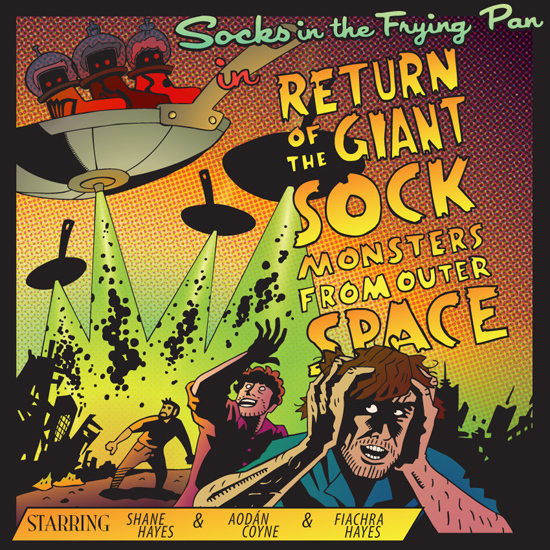 The Aliens themselves are based on cartoon sock-versions of the band members from their previous album and website. 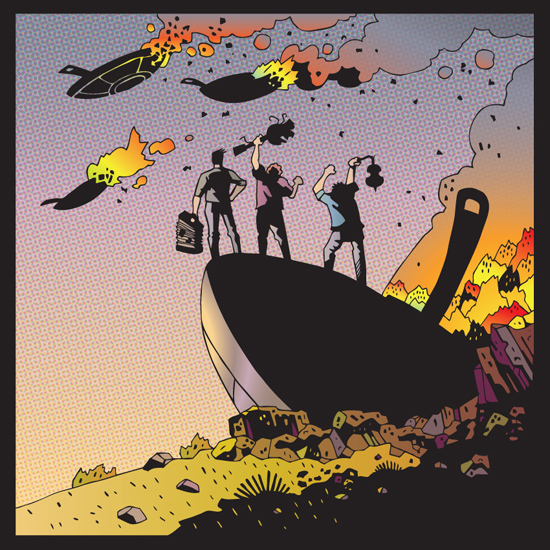 It provides excellent visual continuity for their band while allowing them to branch out into new and exciting art like this album’s artwork. They tour in Europe and North America and you can see more information at their website at the link below. They have a Facebook page, a Twitter feed, a Youtube page, etc., so there is no reason not to check them out! Send a message directly to Kyle Huston.